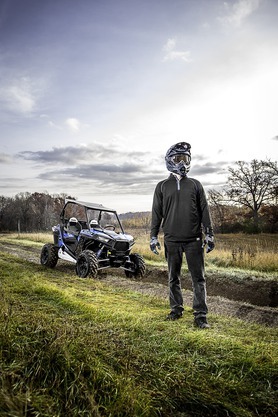 Enjoy maximum protection and color-coordinated style on the front end of your RZR® XP 1000 by adding this White Extreme Front and Rear RZR® Attachment to the Low Profile Front RZR® Bumper (sold separately). 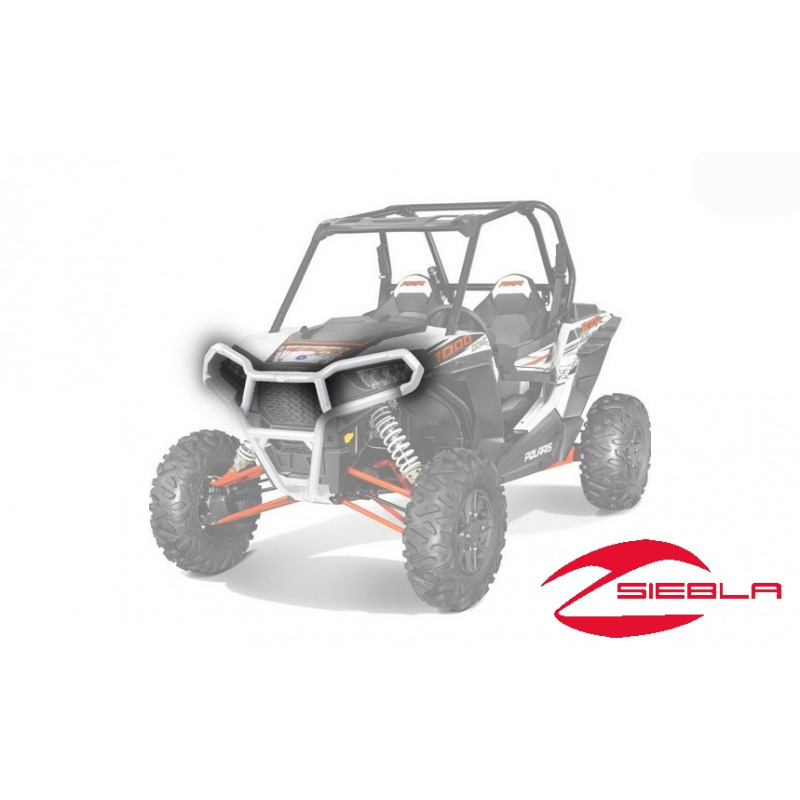 Enjoy maximum protection and color-coordinated style on the front end of your RZR® XP 1000 by adding this White Extreme Front and Rear RZR® Attachment to the Low Profile Front RZR® Bumper (sold separately). Using Lock & Ride® technology, the Extreme Front Attachment installs in minutes and offers outstanding protection for the vehicle’s headlights and hood. It features strong, durable, 1 ¾” thick tube steel construction and has cast pieces at the outer edges for optimized durability and style. 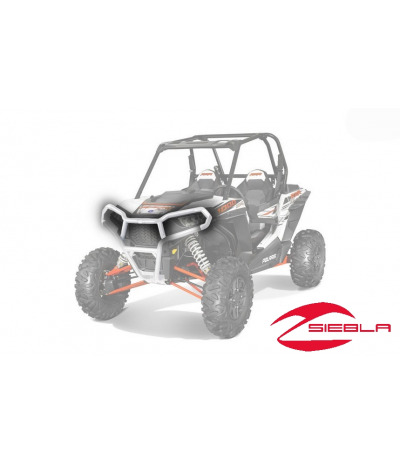 Its durable white finish coordinates with the custom look of your Polaris® side by side RZR® XP 1000, which can include the available White Low Profile Front RZR® Bumper (2879449-133, sold separately). Installation: Lock & Ride® installation on the Low Profile Front Bumper (2879449, black; or 2879449-133, white; each sold separately).